Very late in getting this on the blog – a lot going on. I won’t say much on this because issue 100 is out and that’s more vivid in my memory as I’ve not long read it but this is basically gearing up for a great centennial issue. You can sense the tension and it just makes you crave more to find out what’s going on. 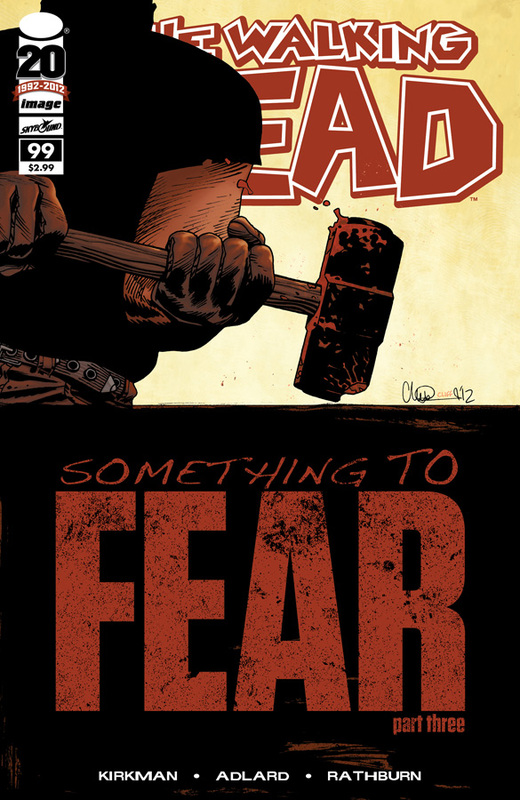 This entry was posted in The Walking Dead and tagged AMC, Comics, Image Comics, Robert Kirkman, Walking Dead, Zombies. Bookmark the permalink.